Tree of Hope transform the lives of seriously ill and disabled children in Bedfordshire (and around the UK) by supporting their families to fundraise for the vital medical care, therapy and equipment that is not available via the UK health service, but needed for their child to thrive. For over 25 years, Tree of Hope have supported over 850 families each year all to access the treatment needed to transform their child’s life. We do this by creating each child their very own fundraising campaign via Just Giving enabling friends, families, communities and wider networks to fundraise directly to your child, where funds will be designated specifically for their ongoing needs until their 25th birthday. We’re a little like Crowdfunding (LINK) but with a lot more power, transparency, benefits and support for you, your family and supporters. Fundraising with Tree of Hope means (eligible) donations can receive Gift Aid. That means 25% extra donated from the government on top of the original donation. It also means you will receive ongoing support from our dedicated Family Support Team who will help you through your whole fundraising journey – from setting up your fundraising page, putting you in touch with other families and pointing you in the way of our partnered suppliers and corporate supporters in Bedfordshire and the wider areas. Our dedicated Accounts Team will relieve the stress from you and your family by dealing with suppliers directly, paying invoices and ensuring that you receive the best price possible, including VAT reductions on eligible items and ultimately ensuring your funds stretch as far as possible allowing you to concentrate on your child and family. Our fundraising team will give you access to fundraising packs, advice on grants, support with funding applications and access to Tree of Hope marketing materials that will enable you and your supporters to make the most of your fundraising and get the communities in Bedfordshire behind you. Tree of Hope support children with a range of serious illnesses and disabilities including ASD (Autism Spectrum Disorder). To be eligible for support they must be based in the UK or Ireland and under the age of 18. 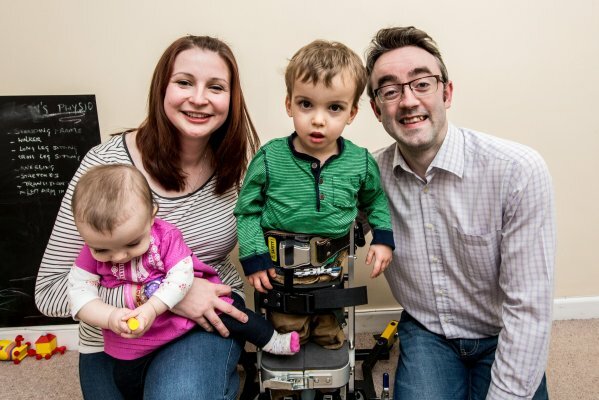 The application process is simple, to get started contact Georgie or Lee in our Family Support Team on 01892 535525 or via families@treeofhope.org.uk who will talk to you about how we can help and get you started on access the vital medical care your child needs.